Michael McGrath traces the costly financial implications of the voluntary Catholic sector from the early years through to the last decade of the twentieth century. He shows how education had always received financial assistance from the Catholic community, unlike contemporary Protestants, long before the creation of Northern Ireland. Categories: Education, Northern Ireland, Religious. This story is a testament to the determination of the Catholic authorities, for a long time clerical, now lay, to maintain independence. In doing so they have ensured that their educational monopoly, won in the nineteenth century, has lasted to the twenty-first. 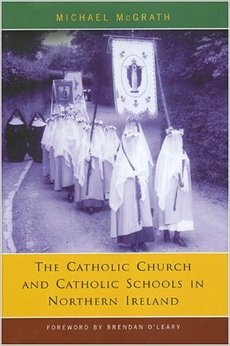 McGrath’s fair and balanced account raises interesting issues for the Catholic education sector such as the purpose of segregation in a post-conflict secular society when unionist, Orange Order and Protestant-clerical influences are at their lowest. – Neil Fleming, History Ireland.